This should be a no-brainer at this point. The Obama administration’s refusal to approve the pipeline shadily cited a lack of time to review the proposal; a presidential statement last year noted that the delay was “not a judgment on the merits of the pipeline.” Well, time has passed. Environmental impact has been studied. 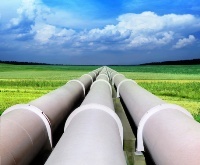 TransCanada has reapplied with a new proposed route, and this week Nebraska Gov. Dave Heineman (R) signed off on the plan, following an analysis from the state’s Department of Environmental Quality. The regulators found that the new route would avoid the Sand Hills and other areas of concern. Though there is always some risk of spill, they said, “impacts on aquifers from a release should be localized, and Keystone would be responsible for any cleanup.” TransCanada will have to buy at least $200 million in insurance to cover any cleanup costs. Adding to that, a letter signed by 53 senators, including nine Democrats, urged Obama to go ahead with the pipeline. “There is no reason to deny or further delay this long-studied project,” it said. The decision to delay the pipeline reeked of election-year politics. Needless to say, the political calculus has changed. There’s a view that the rhetorical privileging of combating climate change in Obama’s second Inaugural Address will make it hard to throw environmentalists under the bus over Keystone. I think it makes it easier. Approving the pipeline offers Obama a small Nixon-to-China-like opportunity to say something like, We can safely fulfill our energy needs now while laying a foundation for a clean-energy future. This entry was posted in Energy, Environment, Government and tagged american conservative, canada, Energy, keystone pipeline, obama, oil, united states, xl by Tom Schuman. Bookmark the permalink.